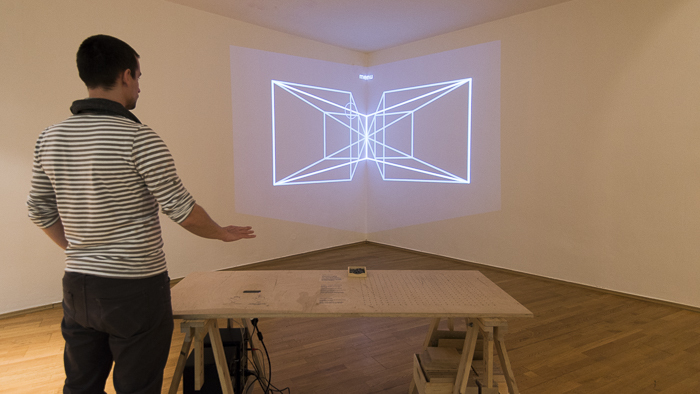 Interactive educational installation for exhibition Light on the Edge @ Slovak National Gallery. "Modern architecture in Czechoslovakia (like everywhere else in the world) has gone through various phases of development through Purism, Constructivism, Functionalism, Brussels style, international style, sculptural architecture, technical architecture up to late Modernism / neo-Modernism. It was a rewarding and inspirational source of motifs for photography and affected the development of its means of expression; on the contrary, the photography of architecture was a method for documenting, promoting and popularising."